Nothing trashy about this gift. 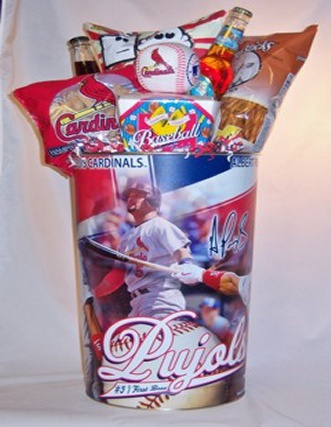 This 18.5" metal Cardinals trash can comes chocked full of all your game time munchies. baseball trivia fortune cookies, and a Cardinals soft stuffed baseball.